Heather Ruth Lee is an Assistant Professor of History, NYU Shanghai; Global Network Assistant Professor, NYU. Prior, she was a Mellon Humanities Postdoctoral Fellow at the Massachusetts Institute of Technology. She holds a PhD from Brown University and Masters of Arts from Brown University and Emory University. Professor Lee’s research interests are urban and legal history and the history of race and ethnicity in the United States. Her first book, Chop Suey Corridor, tells the ironic story of how federal anti-Chinese laws spurred the Chinese restaurant industry in New York City. 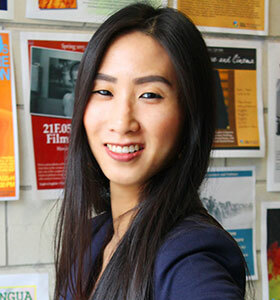 She has published essays in Eating Asian America (NYU, 2013) and Food for Thought (McFarland, 2008), and will contribute to peer-reviewed anthology on immigration to the United States, edited by Madeline Hsu, Maria Cristina Garcia, and Maddalena Marinari. Professor Lee is also a public historian. Her research has been featured in NPR, Atlantic magazine, and Gastropod, a podcast on food science and history. She has advised and curated exhibitions, including shows at the New York Historical Society, the National Museum of American History, and the Museum of Chinese in America. She is a member of the Scholar Strategy Network, an organization to connecting the academy with policymakers, citizens associations, and the media. Professor Lee has received fellowships and grants from the American Council of Learned Societies, Association of American Historians, Immigration History Research Center of the University of Minnesota, Mellon Foundation, U.S. Department of Education, and U.S. Library of Congress.